First off, thank you to everyone who has enjoyed our Zink Ranch National Enduro footage! We really appreciate you guys sharing, commenting and passing along your thoughts. 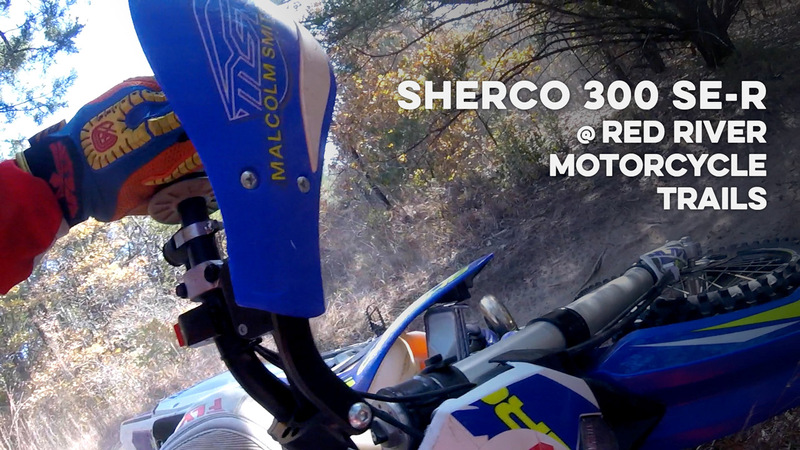 Woody has steadily been making more tweaks to the two stroke Sherco. Biggest though is going back to stock spring weights and stock settings. He’s been having a tough time getting them bike to feel planted, which is why he went to softer springs in the first place. This resulted in riding too much into the travel and having little to no dampening. We’ll keep you updated as the suspension continues it’s evolution underneath Woody. Protection is something that will be coming in the near future. Radiator guards, disc guards and a larger bash guard will all be placed on the 300 two stroke. Which ones do you run? We’ve used SRT and BulletProof Designs in the past. Is there a new company we should be checking out? What have you all been thinking of the commentary videos? It seems like you enjoy them. Should we get Woody to do more or would you like something else? We have a few review and technical videos in the works, so stay subscribed and tuned in for those.